My sister and I arrived at the airport in Montego Bay and met our ride to the Holiday Inn Sunspree Resort. 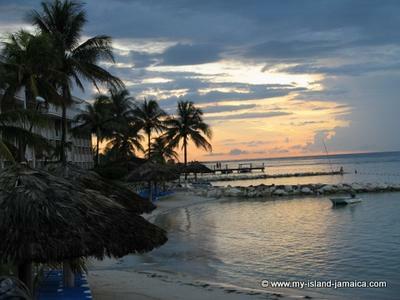 Upon our arrival at the hotel I mentioned that this was my 23rd time to Jamaica and always stayed at the Holiday Inn. At that point they couldn't do enough for us; they upgraded our room to an ocean view at no extra cost. They were so happy to see us again. We really enjoyed being in Jamaica once again as it holds a very special place in my heart. I first visited Jamaica in 1973 with a very good friend named Charlie. He was a brother to me an unfortunately passed a few years later. Memories are forever and I certainly will treasure those memories forever. Maybe that's why I continued to stay at the Holiday Inn. 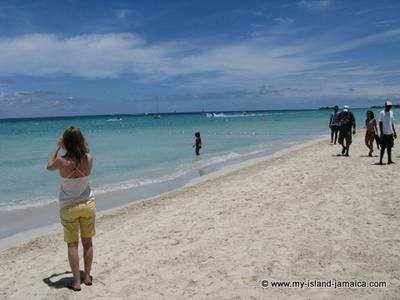 My other pictures are from Negril; another of my favorite places in Jamaica. The first time I saw it was in 1973. When we arrived there the driver drove up through the trees and then we walked out on the beach. I just couldn't get over how beautiful it was there. At that time there wasn't much along the seven miles of white sandy beach. I am not sure if Rick's Cafe was there at that time but I do know that I have enjoyed many sunsets there. 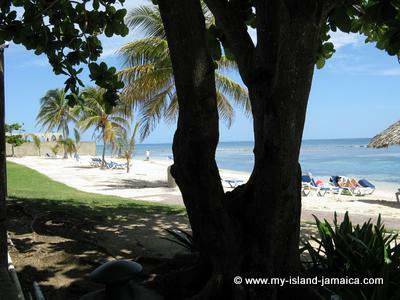 As I am writing this I can visualize just how beautiful Jamaica is. On my first trip I met a guy named Derrick who to this day I consider him a very special friend. He was selling carvings at the Holiday Inn. We immediately became good friends. He introduced us to a guy named Ansel who became our driver when ever we were there. Over the years we traveled over much of the coast from around Port Antonio through the northern side of the island to the southern coast near Mandeville and beyond. We even went way up in the mountains and met some of the nicest people on this planet. We also went in to a cave. I just could go on and on about the times I visited Jamaica. It certainly is a gem in the Caribbean. I always thought about someday living there. Maybe some day. I think it is so beautiful not only in scenery but for the warm and friendly people that make up the island of 'JAMAICA'. Thank you Wellesley for the time that you put in to this site. Job well done and look forward to many more updates. This story takes me away to a wonderful place called Jamaica. I have only visited 11 times but have very wonderful memories as well. I would like to someday retire there. It is such a beautiful island and there are beautiful people there as well. 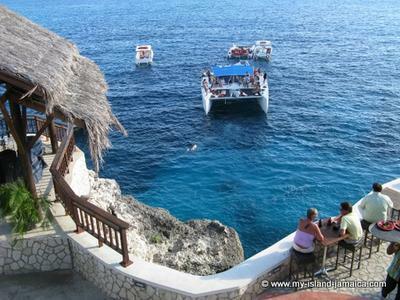 I love the pictures of Negril. Wish I was there right now. Hope to visit again soon.